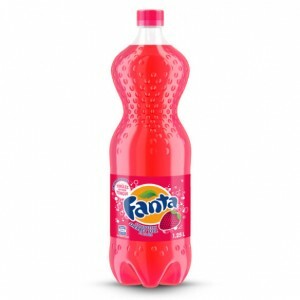 Coca-Cola South Pacific is now selling a new flavour of Fanta in Australia, ‘Strawberry Sherbet Fizz’. The drink is described as fruity with “extra tingles”. It will only be sold for one year. A multi-million dollar marketing campaign will be launched to help advertise the product. Advertising will include radio, outdoor signage and social media. Brand Manager for Fanta Ramona Spiteri said the new flavour enhances Fanta’s playful and creative image. “Research has verified that Strawberry Sherbet Fizz is perfect for our audience, with strong purchase intent and consumer sentiment among teens and mums,” Spiteri said. “The brand and product range continues to create excitement among consumers and we are working hard to keep the brand evolving to capture the attention of our target consumers,” she stated. Fanta Strawberry Sherbet Fizz will be available in Coles, Woolworths, independent retailers and petrol & convenience stores in 1.25L bottles, 250ml cans and 8x200ml mini can packs. There are no recommended retail prices for this product and retailers will set their own prices.